The United Nations' special rapporteur for human rights, Professor Philip Alston, went to Afghanistan in May 2008 to investigate rumours of extrajudicial killings. He warned that international forces were neither transparent nor accountable and that Afghans who attempted to find out who had killed their loved ones "often come away empty-handed, frustrated and bitter". On the night of Monday 11 June 2007, the leaked logs reveal, the taskforce set out with Afghan special forces to capture or kill a Taliban commander named Qarl Ur-Rahman in a valley near Jalalabad. As they approached the target in the darkness, somebody shone a torch on them. A firefight developed, and the taskforce called in an AC-130 gunship, which strafed the area with cannon fire: "The original mission was aborted and TF 373 broke contact and returned to base. Follow-up Report: 7 x ANP KIA, 4 x WIA." In plain language: they discovered that the people they had been shooting in the dark were Afghan police officers, seven of whom were now dead and four wounded. The coalition put out a press release which referred to the firefight and the air support and then failed entirely to record that they had just killed or wounded 11 police officers. But, evidently fearing that the truth might leak, it added: "There was nothing during the firefight to indicate the opposing force was friendly. The individuals who fired on coalition forces were not in uniform." The involvement of TF 373 was not mentioned, and the story didn't get out. However, the incident immediately rebounded into the fragile links which other elements of the coalition had been trying to build with local communities. An internal report shows that the next day Lieutenant Colonel Gordon Phillips, commander of the Provincial Reconstruction Team, took senior officers to meet the provincial governor, Gul Agha Sherzai, who accepted that this was "an unfortunate incident that occurred among friends". They agreed to pay compensation to the bereaved families, and Phillips "reiterated our support to prevent these types of events from occurring again". Yet, later that week, on Sunday 17 June, as Sherzai hosted a "shura" council at which he attempted to reassure tribal leaders about the safety of coalition operations, TF 373 launched another mission, hundreds of miles south in Paktika province. The target was a notorious Libyan fighter, Abu Laith al-Libi. The unit was armed with a new weapon, known as Himars – High Mobility Artillery Rocket System – a pod of six missiles on the back of a small truck. The plan was to launch five rockets at targets in the village of Nangar Khel where TF 373 believed Libi was hiding and then to send in ground troops. The result was that they failed to find Libi but killed six Taliban fighters and then, when they approached the rubble of a madrasa, they found "initial assessment of 7 x NC KIA" which translates as seven non-combatants killed in action. All of them were children. One of them was still alive in the rubble: "The Med TM immediately cleared debris from the mouth and performed CPR." After 20 minutes, the child died. The coalition made a press statement which owned up to the death of the children and claimed that troops "had surveillance on the compound all day and saw no indications there were children inside the building". That claim is consistent with the leaked log. A press release also claimed that Taliban fighters, who undoubtedly were in the compound, had used the children as a shield. The log refers to an unnamed "elder" who is said to have "stated that the children were held against their will" but, against that, there is no suggestion that there were any Taliban in the madrasa where the children died. The rest of the press release was certainly misleading. It suggested that coalition forces had attacked the compound because of "nefarious activity" there, when the reality was that they had gone there to kill or capture Libi. It made no mention at all of Libi, nor of the failure of the mission (although that was revealed later by NBC News in the United States). Crucially, it failed to record that TF 373 had fired five rockets, destroying the madrasa and other buildings and killing seven children, before anybody had fired on them – that this looked like a mission to kill and not to capture. Indeed, this was clearly deliberately suppressed. The internal report was marked not only "secret" but also "Noforn", ie not to be shared with the foreign elements of the coalition. And the source of this anxiety is explicit: "The knowledge that TF 373 conducted a HIMARS strike must be protected." And it was. This crucial fact remained secret, as did TF 373's involvement. Again, the lethal attack caused political problems. The provincial governor arranged compensation and held a shura with local leaders when, according to an internal US report, "he pressed the Talking Points given to him and added a few of his own that followed in line with our current story". Libi remained targeted for death and was killed in Pakistan seven months later by a missile from an unmanned CIA Predator. In spite of this tension between political and military operations, TF 373 continued to engage in highly destructive attacks. Four months later, on 4 October, they confronted Taliban fighters in a village called Laswanday, only 6 miles from the village where they had killed the seven children. The Taliban appear to have retreated by the time TF 373 called in air support to drop 500lb bombs on the house from which the fighters had been firing. The final outcome, listed tersely at the end of the leaked log: 12 US wounded, two teenage girls and a 10-year-old boy wounded, one girl killed, one woman killed, four civilian men killed, one donkey killed, one dog killed, several chickens killed, no enemy killed, no enemy wounded, no enemy detained. The coalition put out a statement claiming falsely to have killed several militants and making no mention of any dead civilians; and later added that "several non-combatants were found dead and several others wounded" without giving any numbers or details. This time, the political teams tried a far less conciliatory approach with local people. 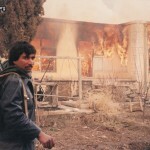 In spite of discovering that the dead civilians came from one family, one of whom had been found with his hands tied behind his back, suggesting that the Taliban were unwelcome intruders in their home, senior officials travelled to the stricken village where they "stressed that the fault of the deaths of the innocent lies on the villagers who did not resist the insurgents and their anti-government activities … [and] chastised a villager who condemned the compound shooting". Nevertheless, an internal report concluded that there was "little or no protest" over the incident. The concealment of TF 373's role is a constant theme. There was global publicity in October 2009 when US helicopters were involved in two separate crashes in one day, but even then it was concealed that the four soldiers who died in one of the incidents were from TF 373. The pursuit of these "high value targets" is evidently embedded deep in coalition tactics. The Jpel list assigns an individual serial number to each of those targeted for kill or capture and by October 2009 this had reached 2,058. The process of choosing targets reaches high into the military command. According to their published US Field Manual on Counter Insurgency, No FM3-24, it is policy to choose targets "to engage as potential counter-insurgency supporters, targets to isolate from the population and targets to eliminate". A joint targeting working group meets each week to consider Target Nomination Packets and has direct input from the Combined Forces Command and its divisional HQ, as well as from lawyers, operational command and intelligence units including the CIA. 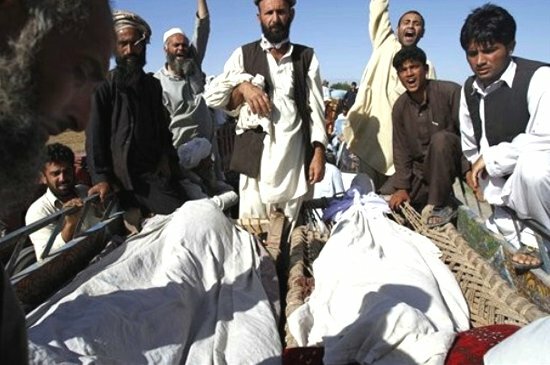 Among those who are listed as being located and killed by TF 373 are Shah Agha, described as an intelligence officer for an IED cell, who was killed with four other men on 1 June 2009; Amir Jan Mutaki, described as a Taliban sub-commander who had organised ambushes on coalition forces, who was shot dead from the air in a TF 373 mission on 24 June 2009; and a target codenamed Ballentine, who was killed on 16 November 2009 during an attack in the village of Lewani, in which a local woman also died. The logs include references to the tracing and killing of other targets on the Jpel list, which do not identify TF 373 as the unit responsible. It is possible that some of the other taskforce names and numbers which show up in this context are cover names for 373, or for British special forces, 500 of whom are based in southern Afghanistan and are reported to have been involved in kill/capture missions, including the shooting in July 2008 of Mullah Bismullah. Some of these "non 373" operations involve the use of unmanned drones to fire missiles to kill the target: one codenamed Beethoven, on 20 October 2008; one named Janan on 6 November 2008; and an unnamed Jpel target who was hit with a hellfire missile near Khan Neshin on 21 August 2009 while travelling in a car with other passengers (the log records "no squirters [bodies moving about] recorded"). Other Jpel targets were traced and then bombed from the air. One, codenamed Newcastle, was located with four other men on 26 November 2007. The house they were in was then hit with 500lb bombs. "No identifiable features recovered," the log records. Two other Jpel targets, identified only by serial numbers, were killed on 16 February 2009 when two F-15 bombers dropped four 500lb bombs on a Jpel target: "There are various and conflicting reports from multiple sources alleging civilian casualties … A large number of local nationals were on site during the investigation displaying a hostile attitude so the investigation team did not continue sorting through the site." One of the leaked logs contains a summary of a conference call on 8 March 2008 when the then head of the Afghan National Directorate of Security, Amrullah Saleh, tells senior American officers that three named Taliban commanders in Kapisa province are "not reconcilable and must be taken out". The senior coalition officer "noted that there would be a meeting with the Kapisa NDS to determine how to approach this issue." It is not clear whether "taken out" meant "killed" and the logs do not record any of their deaths. But one of them, Qari Baryal, who was ranked seventh in the Jpel list, had already been targeted for killing two months earlier. On 12 January 2008, after tracking his movements for 24 hours, the coalition established that he was holding a large meeting with other men in a compound in Pashkari and sent planes which dropped six 500lb bombs and followed up with five strafing runs to shoot those fleeing the scene. The report records that some 70 people ran to the compound and started digging into the rubble, on which there were "pools of blood", but subsequent reports suggest that Baryal survived and continued to plan rocket attacks and suicide bombings. Numerous logs show Jpel targets being captured and transferred to a special prison, known as Btif, the Bagram Theatre Internment Facility. There is no indication of prisoners being charged or tried, and previous press reports have suggested that men have been detained there for years without any legal process in communal cages inside vast old air hangars. As each target is captured, he is assigned a serial number. By December 2009, this showed that a total of 4,288 prisoners, some aged as young as 16, had been held at Btif, with 757 still in custody. The leaked war logs show that Task Force 373 uses at least three bases in Afghanistan, in Kabul, Kandahar and Khost. Although it works alongside special forces from Afghanistan and other coalition nations, it appears to be drawing its own troops from the 7th Special Forces Group at Fort Bragg, North Carolina and to travel on missions in Chinook and Cobra helicopters flown by 160th special operations aviation regiment, based at Hunter Army Airfield, Georgia. 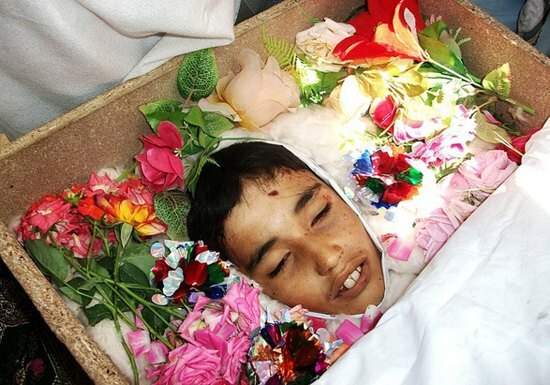 17.05.2010: Civilian Casualties Raise Afghan Ire at U.S.
19.04.2010: McCHRYSTAL LOST IN AFGHANISTAN, IS IGNORANCE THE REAL EXCUSE? 30.03.2010: The Nightmare Will End When We Wake Up! America, Please Open Your Eyes! 25.03.2010: A Guantanamo Bay in Afghanistan?